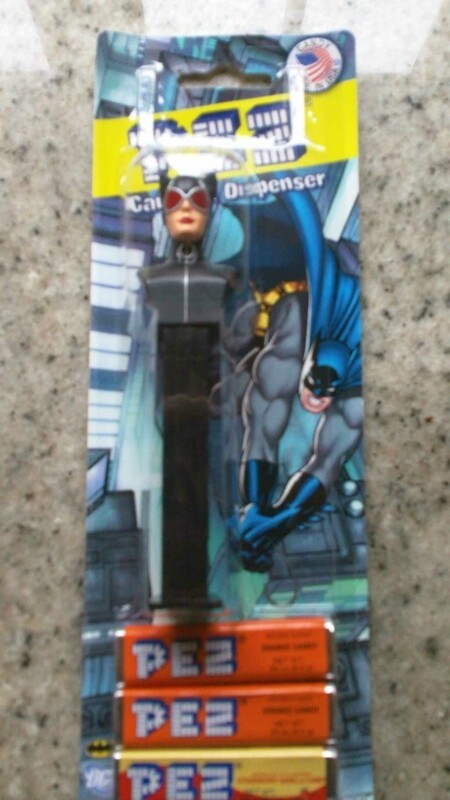 She's Fantastic: PEZ Dark Knight Rises CATWOMAN Dispenser! 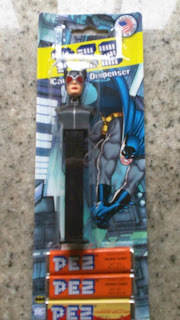 PEZ announced a Dark Knight Rises series of dispensers for June 2012 back in February but gave no details about characters. Some time later they mentioned on their Facebook page that we would be seeing (only) one new character released in this assortment. We figured that this had to mean either Bane or Catwoman. 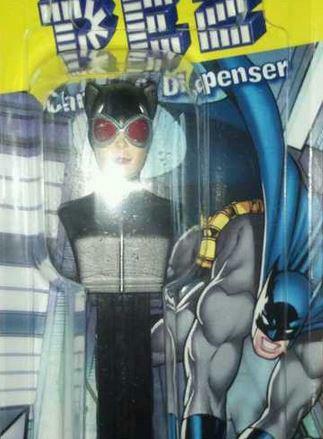 I actually had a nagging feeling that the new dispenser would be Bane, but I'm hoping that this photo is legitimate and we're getting a fantastic looking Catwoman. We received an updated Batman with the Justice League set last year that willl most likely be a straight re-release (or more hopefully a black repaint). Here are the Justice League dispensers from last year. I think that Batman would look good in black. PS. I photoshopped (poorly) the thumbnail image on this blog to reduce the glare... so if you want to scrutinize for authenticity, use the original pic. 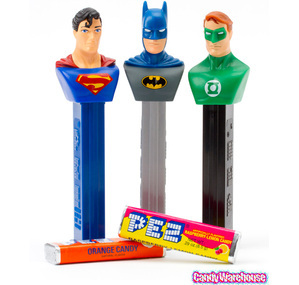 This is a nice piece - the paint on the nose chipped off on mine but hey, it's a PEZ dispenser after all. Once again, really loving this blog! I have one I got from my grandmother if you want it?